You are here: Home / Free Printables / FREE Thanksgiving-Themed Activities and Printables! 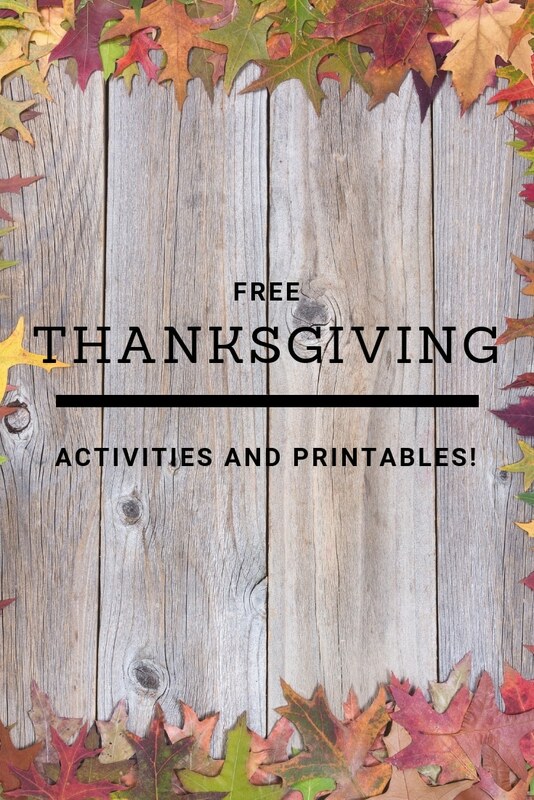 FREE Thanksgiving-Themed Activities and Printables! Just in time for Thanksgiving Day, check out these FREE Thanksgiving-themed activities to use in your homeschool lessons. They’re separated by subject, so you can easily find just what you need! Your young learners can practice counting with these lovely Thanksgiving-themed counting mats! They can count pumpkins, corn cobs, pilgrims, and more! Your children can practice their counting skills for numbers 1-12. The number is on the turkey, and students must glue the right amount of feathers to the turkey! Use these logic puzzles to take a little break from your regular math lessons. There are Thanksgiving-themed grid and Sudoku puzzles! In this resource, you’ll find worksheets and flashcards for both addition and subtraction facts (single, double, and triple digits!). And, there are printable flashcards. For children K-2, here is a poetry pack which includes multiple literacy activities, such as rhyming words, grammar practice, and organizing sentences! Get your children into the holiday season with these creative Thanksgiving writing prompts! On each page, there is a Thanksgiving-themed picture as well for your children to color before or after they write! Practice writing and get your children into the grateful mood this season with this 15-page resource. There are sentence starters in order to inspire your children to get writing, and there’s room for them to draw and color an accompanying picture. In this resource, there are multiple activities for different subjects and different levels. You can pick and choose what you would like to use in your lessons. There are literacy, science, and design activities included! Having a Thanksgiving party during your lessons? Consider adding these fun Thanksgiving analogies to have fun AND practice critical thinking skills. Want to find creative ways to keep your kids busy while also practicing skills and engaging with the season! Then, use these lovely activity placemats at your house before a meal or bring them to a restaurant for a little fun! Click here for even more Thanksgiving Freebies!